Dr. Allison Hunt is a renowned pathologist in Mobile, Alabama. She got her medical degree from University of Louisville and decided to go at University of South Alabama for her residency. In order to complete her medical education, she went to Miami-Dade County Office of Medical Examiner and obtained her fellowship. Dr. Hunt is board certified in pathology and has 20 years of experience. 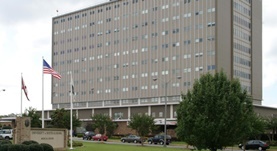 She is currently affiliated with University of South Alabama Medical Center.